If you’re looking for a reliable VPN service then the sea of choice can be confusing. In this article we’re taking a look at 15 VPN providers you really need to know about this year. If you’re as confused as most people then this article is for you. The online security industry is huge and with hundreds of privacy issues and breaches occurring regularly, a VPN is now an essential tool in your arsenal to stay safe and secure online. But where do you start? With numbers in the high hundreds, there are too many VPN services to choose from. How do you even begin to sort the wheat from the chaff? There is very little to tell the services apart too, many are called “Safe”, “Secure” and “Private” plus a whole load of combinations of similar names. Below I’ve put together my personal list of 15 VPN providers you need to know about this year. If you’re considering a VPN service then it really should be one of these. IPVanish has been without a doubt one of my favourite go-to VPN services for the past 3 years. They’ve proven themselves time and again to offer a fast and reliable service. Most importantly they store no logs of what you do while connected and in the 6 years they’ve been in operation this has never been called into question. With apps for all the most popular devices including the likes of the Fire TV, they’re a VPN service that is suitable for almost all uses. NordVPN came out of nowhere a few years ago and have grown to be one of the biggest but also most reliable VPN services. If you’re after accessing blocked content such as TV services then there are very few providers who can compete. Their monthly plan is a little expensive but if you’re prepared to commit then their 1, 2 or 3 year subscriptions then they’re one of the cheapest in the industry. ExpressVPN stands out from the crowd due to their wide range of server locations. In fact, they’re bigger than nearly every other service out there covering more than 90 countries across the world. Granted, some servers are virtual servers but the majority are physical servers on the ground. Again, their monthly service is a little on the expensive side but when signing up for a year they compete with most of the competition on price. I really like the fact they offer a dedicated client for Amazon devices like the Firestick and have a 30-day money back guarantee. Private Internet Access is quite possibly the largest VPN provider in the world and with prices less than a cup of coffee it’s really not hard to see why. They don’t have quite the coverage in terms of locations of some of the providers above but they have an army of fans and with the quality of their service it’s understandable. I really like the anonymous gift card payment option and for a provider with so many subscribers and such a low price, their speeds are up there with the best of them. VPN.ac is the most underrated VPN service you’ve probably never heard of. They don’t advertise wildly nor make exaggerated claims about what their service can’t do. What they do do is offer a super fast VPN service with some features not seen at most providers. There’s a collection of double-hop VPN servers and the ability to use higher end encryption standards than many other providers. If you’re not after a big name VPN service but you are after quality, you should be checking out VPN.ac – Just don’t tell too many people and let’s keep this gem a secret between us. AirVPN has been around as long as we can remember. They’re one of the highest rated VPN providers and for users who really care about their privacy, they’re one of the best options for shoring up your online security. This Italian based VPN service is run by security professionals and unlike many other services, they don’t spend much in the way of flashy advertising. Don’t be put off by their website which looks like it should have been left in 1994 because behind the rough exterior there’s actually a very well respected VPN service. StrongVPN is one of the oldest security companies in the industry being around in one form or another since the mid-90’s. While you don’t often hear their name dropped too much they’ve been quietly upgrading their service over the past few years and now offer something worth looking at. You’ll find good download speeds and free access to a SmartDNS service that offers access to more TV services than most. Coupled with newly redesigned apps they’re now definitely worth checking out. Mention Astrill to anyone with knowledge of the VPN industry and they’ll automatically mention China. Astrill has been at the forefront of bypassing Chinese censorship for years and while it’s a little hit and miss in recent times they’re still one of the best for hopping the great firewall of China. They’re not an exclusively Chinese orientated service either and are suitable for use worldwide. Unfortunately they do keep some small metadata logs but being registered off-shore in the Seychelles they claim they won’t share this with anyone unnecessarily. Mullvad is highly recommended due to being based in Sweden. Until recently Sweden had some of the best privacy laws in the world and although these have been weakened in recent years it still appears to be a good base for running a VPN service. If you want to pay with cryptocurrency then options such as Bitcoin and Bitcoin Cash are available allowing you to pay for the service semi-anonymously. Mullvad is certainly one of the most respected VPN services available. LiquidVPN is another small VPN service that often doesn’t get the recognition they deserve. I really like their modulating IP system which rolls you around a few IP Addresses for each element on each connection at the same time, it’s unique and I haven’t seen it elsewhere. They’re also known for pushing the boundaries and deploying industry leading features before others. In the past they’ve tested encryption standards not used elsewhere and have dropped support for insecure protocols like PPTP before many others. If you’re looking for a personal touch from your VPN service then LiquidVPN could be for you. CyberGhost VPN is a popular VPN service based in Romania and is one of the largest in the world. Founded by a charismatic German privacy advocate, CyberGhost VPN has grown to cement themselves as one of the leading VPN providers. I really like their 30-day money back guarantee and the fact you can try the service before you pay. While you won’t get access to the full service with the trial it does give you chance to test part of the service to see if it’s suitable for you. ProtonVPN is a new venture out of Switzerland from the same creators of the successful and secure ProtonMail service. ProtonVPN offers a limited free VPN service and a paid-for service. There’s a little bit of a lack of apps for a wide range of devices but keep this one in your mind as I’m sure you’ll see plenty of them in the coming years. VyprVPN is one of the longest running VPN services and if you’re a Mum or Dad (Mom or Pop) then this is probably the service for you. I really like the ease of use of their apps and the helpful nature of the service. If you really don’t know too much about what you’re doing then they make a good option for protecting your online privacy and unblocking certain services. They have a custom VPN mode called Chameleon which reports show it works well in China. If you’re likely to visit countries with restrictive internet this feature alone will be worth its weight in gold. Their copyright policy is a little bit unusual so if you’re into downloading content of a questionable nature then they’re best avoided. Ivacy is one of those VPN providers that has been around long enough to be considered a reliable service. 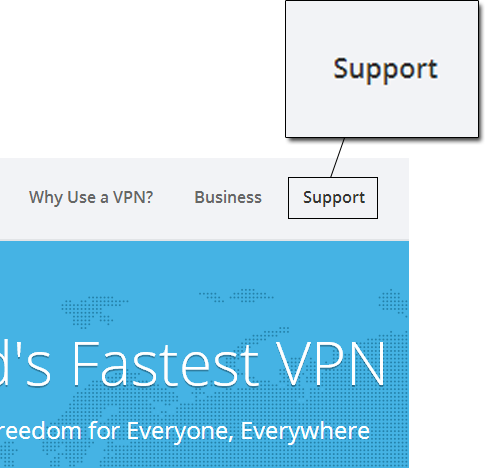 Countless user-reviews show why this Singapore based VPN service is considered one of the best available. I like their large range of apps and the added bonus of a selection of browser extensions for a variety of the most popular web-browsers. While I’m not a huge fan of browser extensions per se due to possible security flaws you may require one in certain circumstances. One of the standout features is the number of payment types they accept. If you’re struggling to pay with an obscure payment method then it’s likely Ivacy accepts it. IVPN is a VPN service that put their money where their mouth is moving from Malta to Gibraltar when they weren’t happy with regulations in their current locations. This should instil a sense of security into you that they’re a service that puts their user-security first. Afterall the security of your data and your privacy should be the top priority of your VPN service provider. 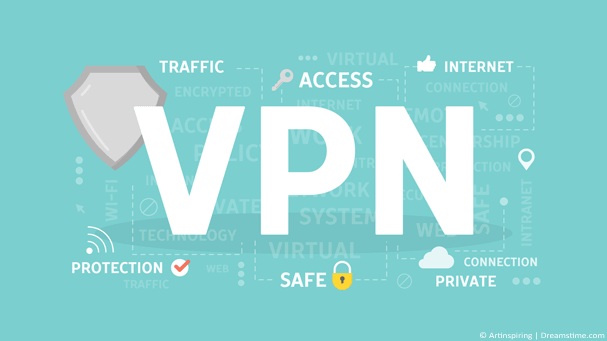 IVPN don’t quite offer some of the features that many of the other services do but what they do offer is a stable and reliable VPN service. This list is less about recommendations and more about whittling down the choices. With hundreds of VPN providers out there it’s often hard to make a choice. It’s also difficult to weed out which providers are reputable and which have been set up overnight and may cause serious harm to your privacy. The 15 providers above are my personal recommendation of the providers you should consider in 2018. If you’ve got time visit all of them and check out what they offer. If you’re pressed for time pick a handful of them and compare their features and if you really don’t have much time then I say you can’t go wrong with IPVanish.